The final of Euro 2016 produced a massive shock, as Portugal pulled-off a 1-0 win over hosts France in extra-time, despite losing star player Cristiano Ronaldo very early in the game. Portugal were the first of the two teams to threaten in attack on five minutes. Cedric launched a long ball forward to Nani, who chested the ball down and fired an effort over the bar. The hosts went up the other end a minute later, as Moussa Sissoko volleyed well over the bar from the edge of the penalty area. Just a minute later and the Newcastle midfielder found striker Antoine Griezmann, who put his effort well wide of the post. Portugal were handed a massive blow nine minutes when an innocuous challenge from Dimitri Payet left Cristiano Ronaldo needing treatment on a knee problem. The forward received treatment only to come back onto the field. France had another chance on ten minutes. A long ball picked out Griezmann, who’s headed looked to be heading into the back of the net, but Portugal ‘keeper Rui Patricio produced a superb save to tip the ball over the bar. Les Bleus had another chance from the resulting corner kick, as Olivier Giroud headed right at Rui Patricio. Ronaldo was clearly struggling, but carried on until the 17th minute when he went-off the pitch for treatment and came back on with a heavily taped knee. France had another chance on 22 minutes, as Sissoko saw an effort from 25 yards out tipped over the bar by Rui Patricio. Ronaldo admitted defeat in his battle to stay on the pitch on 26 minutes, as he left the pitch to be replaced by Ricardo Quaresma. France came forward again on 34 minutes. A move involving in Giroud, Griezmann and Payet resulted in Sissoko finding space in the area and hitting a powerful effort that Rui Patricio parried away. Portugal offered a rare attacking threat on 38 minutes. Renato Sanches beat Paul Pogba in midfield and found full-back Raphael Guerreiro 20 yards out, only for the Dortmund-bound star to drag his effort on goal well wide of. The referee adjudged that the effort took a deflection and from Joao Mario’s resulting corner kick centre-back Jose Fonte headed well over Hugo Lloris. That was the last notable effort of the intriguing first half. The first effort of the second period did not arrive until 55 minutes, as France’s Pogba fired a volley from 30 yards out well over the bar. Les Bleus again came forward on 59 minutes. Substitute Kingsley Coman slipped Griezmann through, but Rui Patricio got down low at the near post to produce a relative comfortable stop. Griezmann missed a fantastic opportunity to give Bleus the lead on 66 minutes. The forward headed home over the bar from close-range after good play by substitute Coman. On 75 minutes Portugal ‘keeper Rui Patricio was in action again, as he produced a good low save to kept out an effort from Giroud, which was from a similar to the position he scored from against Iceland. Portugal came close to snatching the lead on 80 minutes. Mercurial winger Nani miss-kicked a effort from the right-wing, but it nearly beat Hugo Lloris who palmed the ball away and then kept out the rebound from Ricardo Quaresma. France came again at Portugal on 84 minutes. Sissoko launched an effort towards goal from 30 yards out, but at full-stretched Rui Patricio palmed the ball away from goal. French substitute Andre Pierre-Gignac cam agonisingly close to winning it for the hosts in stoppage-time. The Tigres striker picked-up the ball at the near post and turned Pepe, before hitting an effort against the post from close-range. The game then went into extra-time, after Portugal survived the pressure from the hosts, without providing much of an attacking threat. On 95 minutes Portugal had a chance as Pepe sent a header past the post from a Quaresma free-kick. The referee’s assistant flagged anyway, but it showed that Portugal could cause the French defence problems. Fernando Santos’ side threatened on 103 minutes. Quaresma’s corner kick is headed down towards goal by striker Eder, but Lloris knocked the ball the ball away. The Selecao came close to taking the lead on 108 minutes. Full-back Raphael Guerreiro produced a superb free-kick from 25 yards out that smashed against Hugo Lloris’ bar. The Selecao did take the lead a minute later and it came of nothing. Former-Swansea striker Eder beat Laurent Koscielny before hitting a powerful low effort from 25 yards out that beat Lloris to stun the Stade de France. There was one chance left for France in stoppage-time, as substitute Anthony Martial saw an effort blocked and Gignac was flagged offside. That was the last attack of the game, as referee Mark Clattenburg blew his whistle and Portugal were crowned champions of Europe for the first time. Euro 16 Final - Portugal beat hosts France 1-0 in the 19th minute of extra time. The goal came out of nothing with Eder picking the ball up a from long way out, he passes Koscielny and then hits a low shot from about 25 yards out which slides right into the corner! Full match report to follow at Football Issue. We have reached the final of Euro 2016 and on Sunday night Portugal will go head-to-head with hosts France at the Stade de France for the title of European champions. Portugal have rather stumbled to the final, having won just one of their six games in normal time on their way to the final. However the one win was a crucial one as it came in a 2-0 defeat of Wales last time out in the semi-finals. The first half was goalless and tense, but the game burst into life at the start of the second with Cristiano Ronaldo heading the Selecao into the lead on 50 minutes. It was not long until they were two goals ahead, as Nani diverted Ronaldo’s long-range effort into the net from close-range. The win means that Fernando Santos’ team are now unbeaten in their last seven, but have won just two of those games in normal time. The Selecao will once again be looking to star player Cristiano Ronaldo for inspiration in this clash. The 31-year-old has not been at his best at Euro 2016, yet has managed to contribute three goals and three assists, which have been crucial to his side making it the final. Valencia-bound Nani will also pose an attacking threat to French backline, as the mercurial star has also found the net three times at Euro 2016. The Selecao have an awful record against France and lost their only ever major final at Euro 2004, when they suffered a shock 1-0 defeat by Greece on home soil. Portugal should have a fully-fit squad to choose from for this clash, after Real Madrid centre-back Pepe recover from the injury that kept him out of the game against Wales. Bruno Alves filled in against the Dragons, but is likely to start this game on the bench with Pepe returning to the starting line-up. Sporting Lisbon defensive midfielder William Carvalho is also likely to return in place of Danilo, after serving a one-game ban against the Welsh. France made it through to the final by beating world champions Germany 2-0 in the semi-finals. Les Bleus took the lead in first half stoppage-time through a penalty kick from Antoine Griezmann following a hand ball in the German penalty area by midfielder Bastian Schweinsteiger. German certainly missed the likes of Mats Hummels, Sami Khedira and Mario Gomez in this clash and France doubled their goal tally on 72 minutes. Once it was Griezmann, as the Atletico Madrid striker scored from close-range to seal Les Bleus place in the final. Didier Deschamps side have been in fantastic form in recent months, winning 14 from their last 16 games and suffering defeat just once. They have also been highly-effective in front of goal, scoring two or more goals in nine of their last ten internationals. Atletico Madrid striker Antoine Griezmann has played a big role in France’s scoring exploits on home soil, having found the net six times. The 25-year-old is now the overwhelming favourite to win the competitions golden boot. The striker is not the only one from the French team who has been prolific at Euro 2016, as West Ham playmaker and Arsenal striker Olivier Giroud have both found the three times at the competition. All three players will be looking to add to their impressive goal hauls so far. 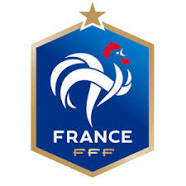 History is on France’s side in this clash as they have defeated Portugal in the last ten meetings and the Selecao have not recorded a win over their opponents since 1975. France has a fully-fit squad to choose from, but boss Didier Deschamps is likely to name an unchanged line-up from the team that defeated Germany last time out. France have been the top scorers on home soil and will head into this clash as big favourites to be crowned European champions for a third time. Portugal will need talisman Cristiano Ronaldo to be at his best to have a chance of causing a shock in this clash.